In this edition, we focus on culinary happenings in the city's northeast, with news of a new gelato joint, another robotic cafe, and a Vietnamese eatery opening downtown. 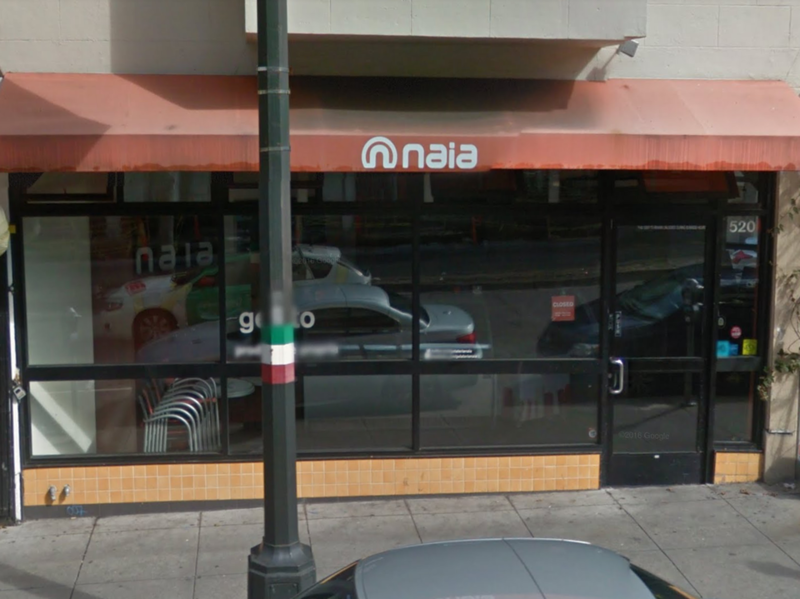 Hoodline tipster extraordinaire Al M. reports from North Beach that Gelateria Naia has closed on Columbus Avenue between Union and Green streets. The Hercules-based creamery posted a note on its door stating that while the business was successful during its twelve years, the owners have decided to focus on its expanding prepacked business and its signature Bar Gelato product, now available at more than 300 locations. The space won't remain vacant for long, though. "We did not want to leave an empty store nor did we want to leave North Beach without great gelato," the message continued. "We are thus proud to hand over the keys to Lush Gelato." Lush has another San Francisco outpost at 1817 Polk St. in Russian Hill as well as locations in Oakland and North Berkeley. 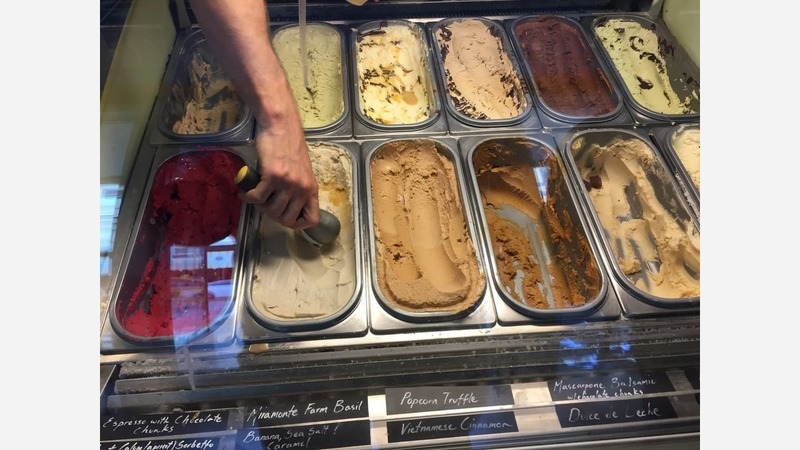 According to the message from Gelateria Naia, Lush Gelato--"who has been churning gelato for more than a decade"--will be opening the space "right back up." 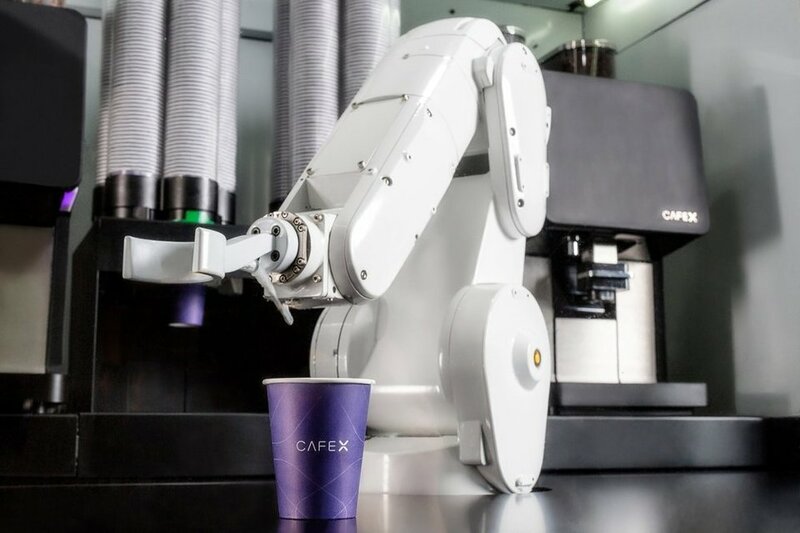 The rise of the machines continues unchecked: Cafe X is opening its third San Francisco location in the Financial District at First and Bush, Al M. told us. As we reported back in January, the cafe's first outpost opened in the Metreon when it took over the former Spicely Organic Spices space. 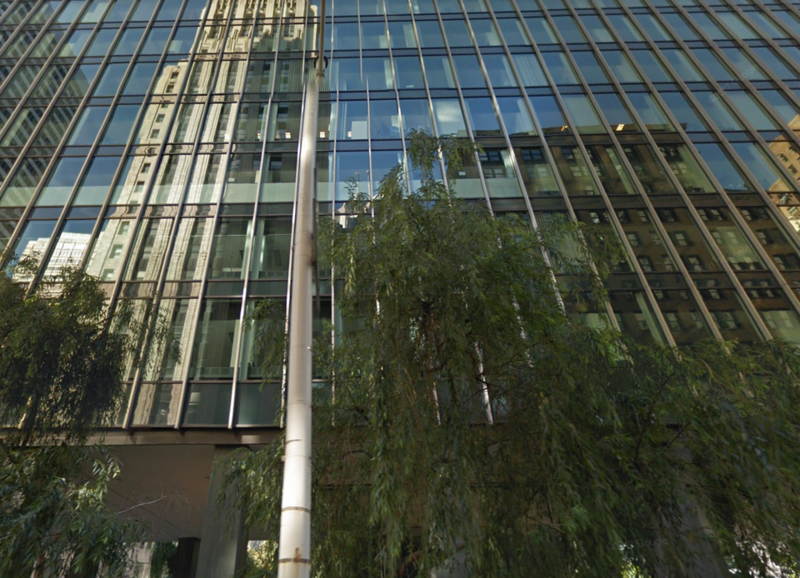 Its second location debuted shortly thereafter in Mid-Market at 578 Market St. The coffee spot is unique in that all of its drinks are prepared and served using a robotic arm and are ordered via a cashless kiosk. Equator, Intelligentsia and Ritual Coffee are some of the business' feature roasts. Al said Cafe X will take over Elizabeth's Flowers, which its Yelp page states is temporarily closed until April 30th. We've not been able to confirm if the flower shop is relocating or if it will reopen in the same building in another space. 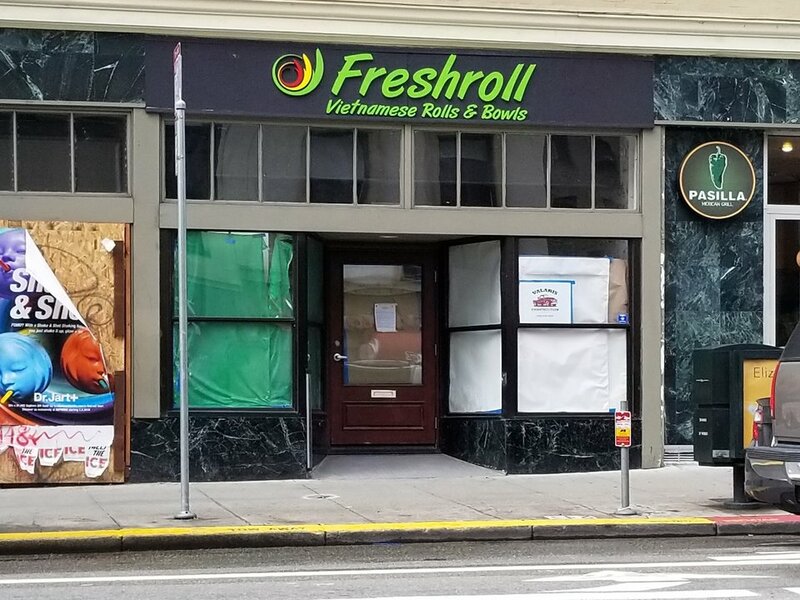 Also in the Financial District, Al said Freshroll Vietnamese Rolls & Bowls is taking over the former Harrow space, which shuttered last year. This will be the third location for the fast-casual eatery, which has outposts in SoMa at the Metreon (157 4th St.) and also in the FiDi (220 Bush St.). Al said that the space is currently undergoing significant renovation with a "full build-out." During his visit, he spoke to several crew members but was unable to discern when it is expected to open. 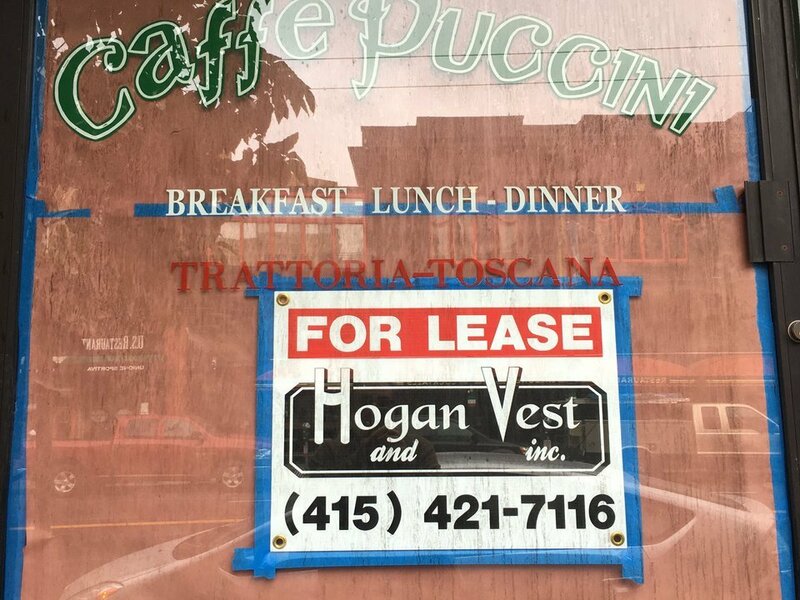 Lastly, tipster Laura R. told us that the Caffe Puccini space in North Beach is up for lease. 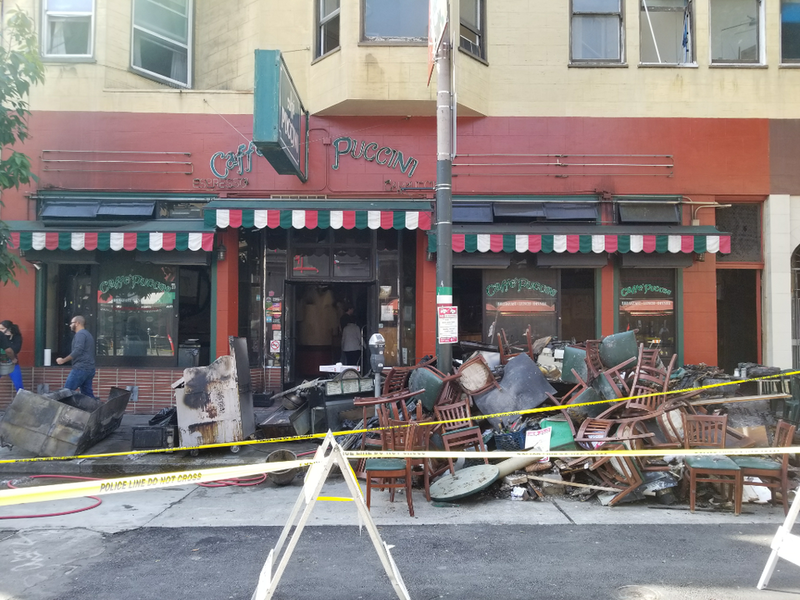 The popular-with-locals Italian eatery was forced to close after a kitchen fire gutted the restaurant last October. While no injuries were reported, the fire caused significant damage and burnt furniture and appliances had to be removed from the space. It's not clear what kind of renovations have been conducted to make the space usable again or if there are any new takers thus far. We reached out to Hogan and Vest Inc., the brokerage firm listing the space, and was told by the person who answered that they "didn't have much information on that unit," and couldn't comment further.